Elegant Yokai Apartment Life Vol. 3 Review – AiPT! The series’ most heartwarming installment yet. Thus far, Kodansha Comics’ Elegant Yokai Apartment Life has surprised me. The series, based on light novels by Hinowa Kouzuki and featuring artwork by Waka Miyama, delivers all the the supernatural mishaps that its title implies. What the title doesn’t give away, though, is how full of heart the manga is. Elegant Yokai Apartment Life is a coming-of-age story about growing up and becoming more open-minded, and its first two volumes did an excellent job introducing the premise and likable characters. Does Vol. 3 continue down the same high quality path? Once again, Miyama impresses artistically. This volume is simply beautiful to look at, especially where its shading is concerned. One recurring image, the top of the apartment complex, is draped in vines which look beautiful under the light of the sun and moon. Hair is beautifully shaded throughout too, which helps the characters look more three-dimensional. Also noteworthy are Miyama’s character designs. The various inhabitants of Yushi’s grimoire (the Petit Hierozoicon) are charming, miniature versions of classic tarot concepts and monsters. The main exception to this is the hippogriff, whose gigantic size contrasts humorously with the manga’s more mundane or adorable elements. Plot-wise, this is the series’ strongest volume thus far. Yushi’s best friend Hase comes to visit the yokai apartment, and gets fleshed out considerably during his stay. His friendship with Yushi had a certain degree of hostility in previous installments, and it still does here, but we also get to see more tenderness. Watching the two of them grow emotionally through their mutual support of one another is heartwarming, and one of the most satisfying parts of the volume. The series has consistently been a feel-good read, and that intensifies the further along it gets. There are also some well-done action scenes here, which is a cool change of pace from the usual emotional talking sessions. I did not expect a showdown with a biker gang in this volume, but I dig it. There is very little about this volume that I dislike. As previously mentioned, the artwork is gorgeous. It seldom lets up; its only less impressive moments are when some minute background details don’t receive the same intricate detail as others. As far as the writing goes, my only qualm is that some plot points feel a bit rushed. Akine starts training Yushi so that he can more effectively harness his magical potential, and while their scenes together are fun, they don’t receive very much page-time. The pacing has consistently been my main complaint with the series, but events only ever feel slightly rushed as opposed to very, so it’s a minor qualm. 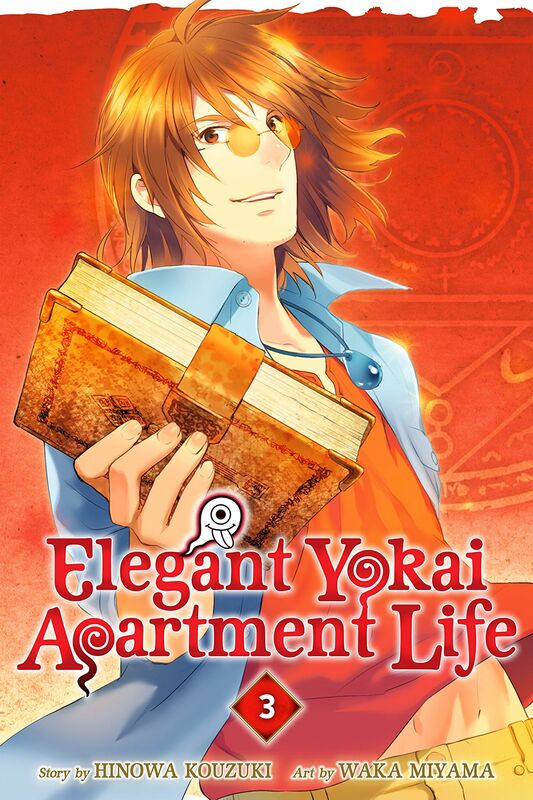 Elegant Yokai Apartment Life Vol. 3 is the series’ strongest installment thus far. The artwork is beautifully detailed and the story is even more heartwarming than usual. My only complaints about this volume are matters of grasping at straws. Overall, this a great read that I highly recommend. All my cons with this volume are a matter of grasping at straws. This is the series' most enjoyable, heartwarming, and beautifully illustrated installment thus far.